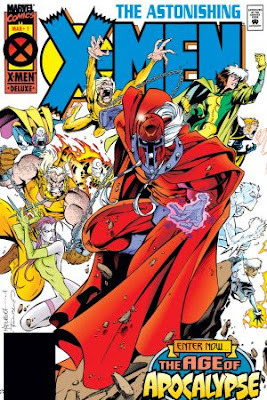 Greetings, fellow slaves of Apocalypse! In this episode, our cannon fodder Chris (@AceComics) and Reggie (@reggiereggie) return to that dystopian dimension in part two of their look at the Marvel Comics event Age of Apocalypse from 1995! 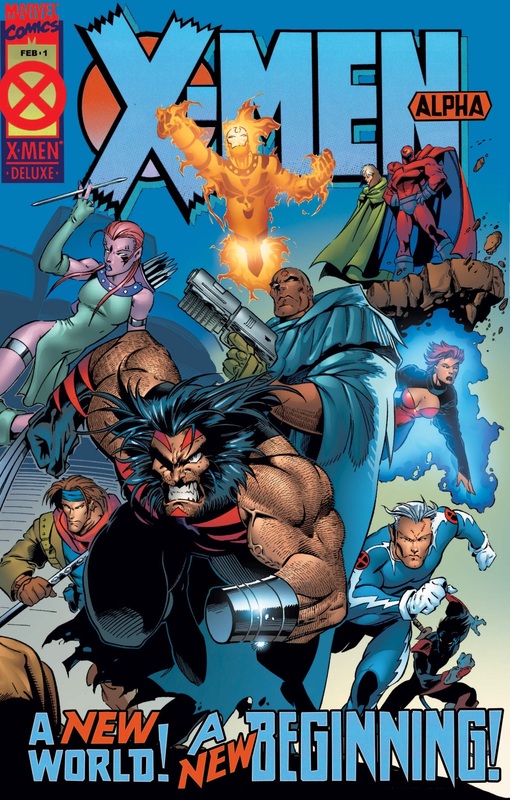 Concentrating on Astonishing X-Men #1 (March 1995) but covering each #1 issue of this event, including full creator and character biographies, our time-hopping duo attempt to weave this tale of what might have been--and may yet be!--if things aren't returned to normal. Tune in next week for more of this epic storyline that affected the X-Men forever! No, really! Heya, fellow comics enthusiasts! 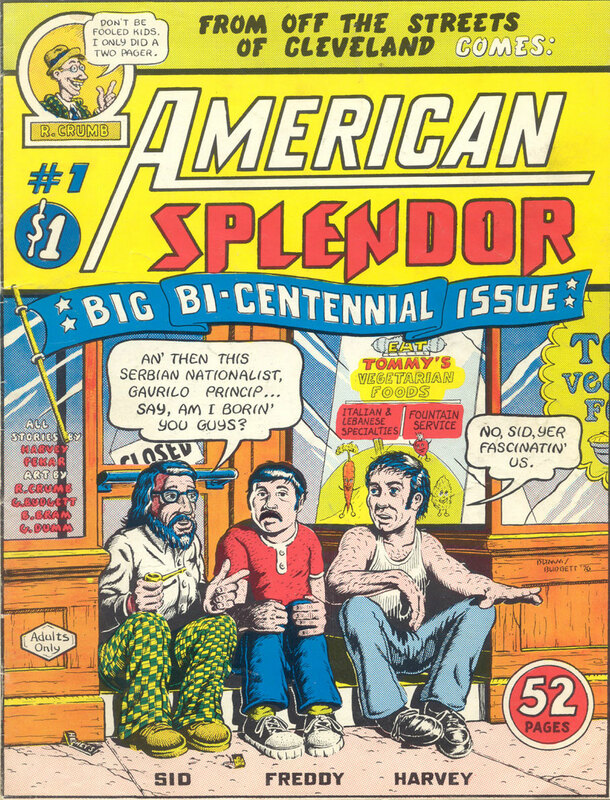 In this episode, everymen Chris (@AceComics) and Reggie (@reggiereggie) do a little gazing at someone else's navel when they read Harvey Pekar's American Splendor #1 from 1976! After some biographical information, peppered with lots of quotes from the subject himself, our pair go through every story in this 52-page anthology, providing information on all of the contributing artists (including Robert Crumb) as they go. 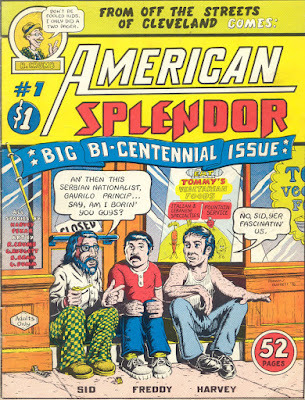 Then, after a break, our eavesdroppers discuss the details and impact of American Splendor, and wrap up the life of Harvey Pekar as well. It's an episode packed with the mundanity of life, you don't want to miss it! Hello! 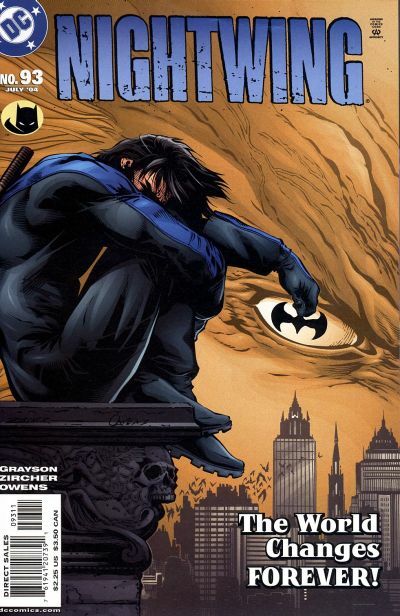 In this episode, our caring and compassionate comics readers Chris (@AceComics) and Reggie (@reggiereggie) tackle an uncomfortable subject when they read Devin Grayson and Patrick Zircher's Nightwing #93, published by DC Comics in 2004! After some biographical information and a little place-setting, the duo use their vocal stylings to read the entire issue. Then they look at the ciritical reaction to the book and some background information on Devin that might help explain--or illuminate the reasoning behind some of these story choices. 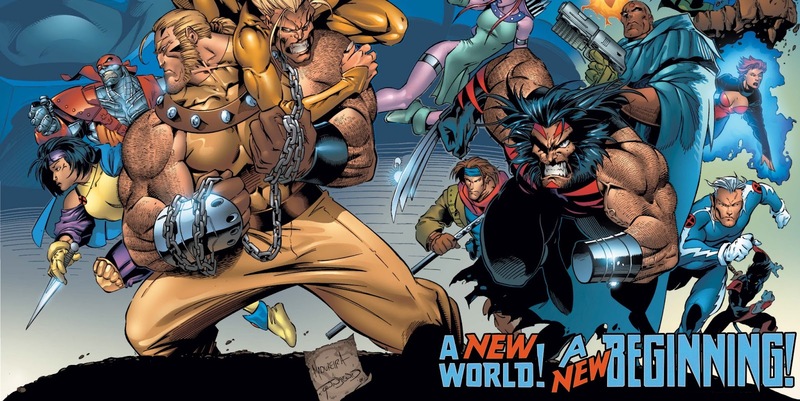 After that, our rabble-rousers talk about some other coordinated fan responses to the comic book industry. And then some listener mail! 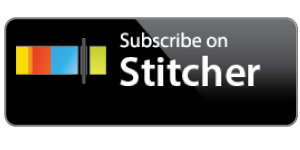 It's a jam-packed episode that you may listen to only consensually. Hello, romanticizers of four-color funnybooks! 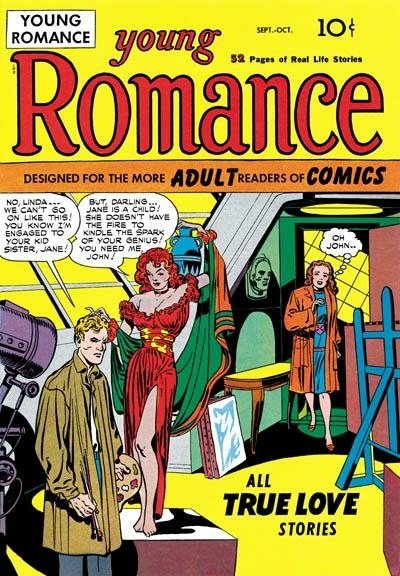 In this episode, love doctors Chris (@AceComics) and Reggie (@reggiereggie) tackle the mysteries of love, when they read the first romance comic book ever published: Joe Simon and Jack Kirby's Young Romance #1 from 1947! 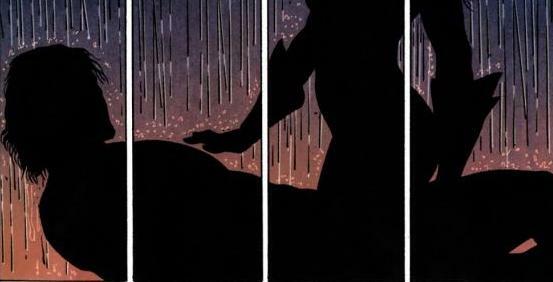 After the needed run-down on Jack and Joe, our heartstrong pair discuss the conditions that created the romance comic, and then read all four (or five?) stories contained within the first one--with special emphasis on "The Plight of the Suspicious Bridegroom" and its unconvential storytelling device. Then, after an informative break, our duo talk about other romance comics and why they practically vanished in the 1970s. All this, and some listener mail! This episode will surely make you swoon!